I’ve been to this before. Downloaded the ADL form listed above using online registration to avoid the long line just to go get a form to fill up before application. I have also applied in person for my own student permit in the Land Transportation Office before I was issued my very own professional driver’s license. I had it later on converted and downgraded from level 1,2,3 to a non pro 1 and 2 only. My reason? I don’t ever want to drive trucks which is for the level 3 qualification. So here goes. First off, I would like to let you know that there is also an available conductor’s permit in the LTO in case you are after this one. For those of you who would like to apply for a student permit, you have to realize a few important facts prior to your application and also before you fill up the official form (which I have provided a downloadable pdf version above). Student permits are workable or valid for only 1 week (back in 2008 but not sure today because LTO website is still down and useless) which means that you have to consume its validity for the purpose actual driving lessons with a professional license holder and qualified driving instructor. Remember that after which process of your driving lessons, you will be tested in the branch where you will obtain or apply for your own pro or non pro driver’s license. Also take note that you will have to go get your NSO birth certificate first before applying for a student permit. This is for the purpose of letting the authorities know that you are qualified to apply based from the listed age requirement below. Must be physically and mentally fit to operate a motor vehicle. Must be able to read and write in Filipino or English. Must not be a drug user and/or alcoholic. Must be clean, neat and presentable. A. Download, Print and Fill Up the LTO APPLICATION FOR DRIVER’S LICENSE (ADL) FORM. Original and Photocopy of Birth Certificate. National Statistics Office (NSO) authenticated Birth Certificate (Certified True Copy) with corresponding Official Receipt (OR). D. Notarized Parent / Guardian letter of consent. Authenticated Birth Certificate with Official Receipt. Must know how to read and write in Filipino or English. Has stayed in the country for at least one (1) month and permitted to stay in the country for at least five (5) months. Employment contract certified by an employer to stay in the Philippines for at least five (5) months. Notarized Parent / Guardian letter of consent. If you ask me where to apply for the student permit, my answer is that it could be done and processed in any licensing center or district office. To check where there is one near you, please use my sidebar categories for branches and offices. 1. Proceed to the Customer Service Counter to have your documents checked for completeness, and secure a Driver’s License Application Form. (This form is available for download at the LTO website. You can accomplish this form prior to transacting your business at the LTO window.) Get a queue number and wait for your number to be called. This has been changed today, your name will be called upon and the window number to which you will go will also be announced along with your name. Be sure to always be alert. 2. When your number is called, proceed to the transaction counters to submit all required documents to the Evaluator. 3. Proceed to the Phototaking/Signature Area to have your picture and signature taken when your name is called. 4. Proceed to the Cashier when your name is called to pay the necessary fees and obtain an Official Receipt. 5. Proceed to the Releasing Counter, present the Official Receipt and claim the temporary student permit/license. For all your concerns regarding online (OL) registration, inquiry, download and forms to fill up, you may also address your concern to the official LTO website which you can find here – http://www.lto.gov.ph/. 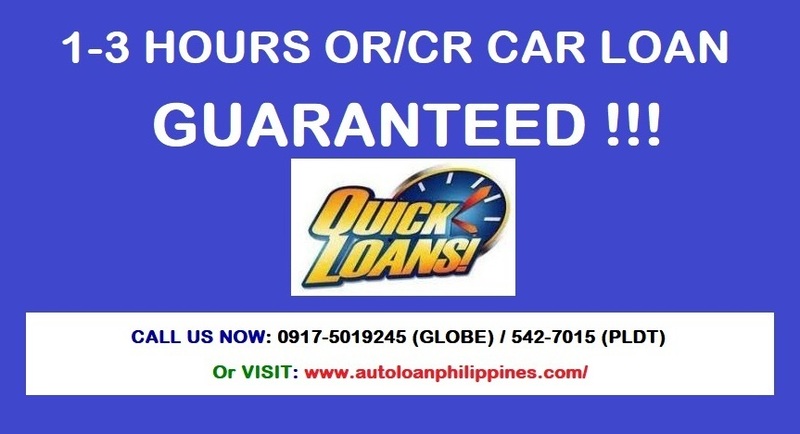 Disclaimer: It is always best to inquire directly to any designated and authorized LTO office or branch. Information on this website is subject to change without prior notice. We are note liable for any misuse of the downloadable documents found on this site as well as the information we have featured in this website/blog which might be but is not limited to legal, moral, social, intellectual and personal. If you liked this post, please share some love by clicking our Facebook Like icon below or the Google + or share and re-tweet this post. hi! itanong ko lang po kung inaallow nila bigyan ng student’s permit yung mag 15 yrs old palang pero in 2 weeks mag 16 na and knows how to drive na? thank you po! pano po kung wla pa po akong gsis sss etc . ID ? edi lack na agad yung requirements ko ? hi ask ko kung mgkno n po anv student permit?? Sir/maam..kailagan pa po ba ng NSO RECIEPT Kht mayroon ka ng birthcertificate? 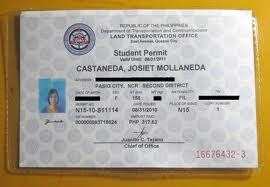 Jose Lopez po ng Camarines Norte, Daet, Bicol..
ask ko lng kung pwede pang i extend ung student license? Just need assistance to expedite my driver’s license card. LTO Robinsons Sta. Rosa Laguna – Renewal date August 28, 2015, anu po ang petsa na ngayon February 2017 na po, wala pa rin Driver’s License Card. please monitor LTO Cabarroguis, Quirino they are not issuing Student Permit ID card..resibo lng pinanghahawakan ko for almost 7 months..tama ba to? Gudam mam/sir asl ko lang po if pano kung naka afidavit po yung n.s.o ko wla prin po ako t.i.n number applicable papo ba ako n mkakuha ng student permit? Pwede po ba makakuha student license kahit 14 yrs old??? Kailangan Po ba ng police clearance para makakuha ng student license?? tanong ko lng po..pwd po ba ako magka licinse kahit p.w.d ako..sa kamay..
Hello po pwede poba ? kumuha ng license ung 15 palang po pero mag 16 na within 3 months ? Paano pag walang tin? Makakuha po ba ako ng student driver license. ? I want to know if conversion from SP to non-pro can be done at any LTO branch even if the applicant is not a resident of that branch? Is it also possible to just go to any LTO mall branch? Ask ko lang po. Posibble po ba makuha ang renewal ng license ID sa Robinson Imus pero sa lucky china town nagbayad? Salamat po ng marami sa sasagot.. ???? Ask ko lang po. ofw po ako dito sa singapore eh nakabili po kame ng wife ko ng motor, ngaun eh gusto ko sana xa madrive na pag uwi ko ng may license. Is there any way na makaapply ako ng drivers license ng hndi ko po kelangan umuwi?? once a year lang kase po ako nakakauwi eh, tpos few days lang lage ang allowed na bakasyon. I applied for my student license pero yung walang legitimacy ang naibigay namin. I already found my birth cert na may legitimacy.. possible ba mag change ng surname pag nag apply ako ng non pro? Thanks. Pede ba kumuha ng permit kung wala mga kamay pero 4 ang paa? tanung kulang kung pwede pa ako maka reneu ng license ko ngayong nabulag na ang isa kong mata? how to renew loss dtudent pirmit?